Our massage treatments focus on getting you into a deep state of mental and physical relaxation. Each massage is provided in private rooms with a calm and soothing atmosphere. We incorporate essential oils and medicinal creams to reduce stress and ease muscles. Our licensed therapists will treat muscular, skeletal, and neurological disorders. Our therapists are masters of their craft. We can also incorporate Oriental medicine massage techniques to reduce internal diseases and their symptoms. Shiatsu and Acupressure are healing art-forms. Treatments can be with or without clothing. Oriental medicine practitioners will use meridians that run through the body to treat disease. These meridians house all the physiological systems and energy of the body. Your therapists will use these channels to harmonize the body reducing your symptoms of pain, fatigue and other internal disorders. These massages focuses on relaxing the body and muscular tension. Long gliding strokes move the blood to detoxify body. Each stroke increases oxygen and blood to the organs. Treatments are shown to decrease Cortisol to reduce stress inflammation. These techniques will increase lymphocytes that boost the immune system. These treatments also increase the release of Oxytocin and Serotonin to reduce depression and anxiety. Round glass cups are warmed and suctioned onto the body making a vacuum seal. This method increases blood flow and nutrients to the corresponding muscles and meridians. This method stimulates acupuncture points to treat disease. It also opens the vessels allowing toxins and pathogens to be released and removed. This method reduces muscle tension, promotes tissue repair, and circulates nutrients to the area. Hot stone massage is a variation on classic massage therapy. Flat basalt stones are immersed in warm water and heated. Stones are placed at specific points on the body correlating to muscular or nervous structures needing treatment. 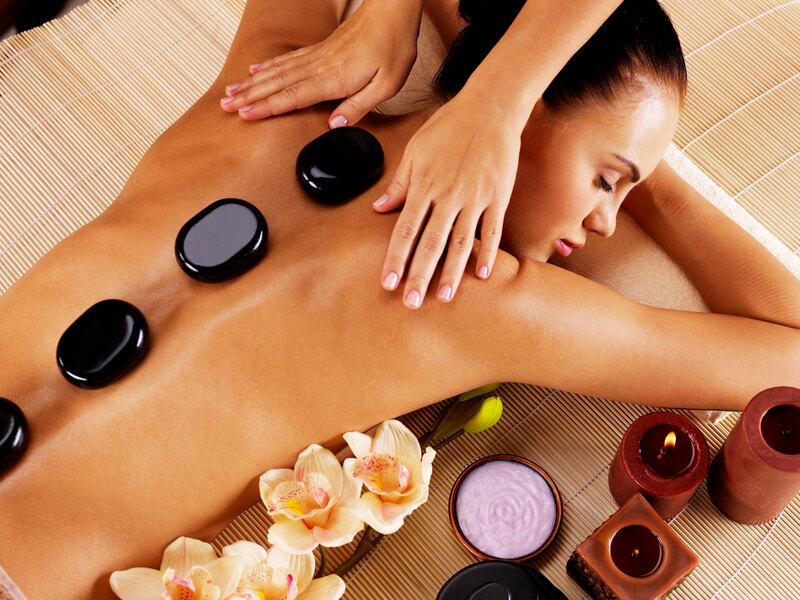 The therapist will use oiled stones to massage certain areas of the body. The heat of the stones warm and relax the muscles. The warmth of the hot stones improves circulation and calms the nervous system. Tui-Na is a joint therapy massage used in Oriental medicine. Tui-Na involves the use of a practitioners hands to diagnosis diseases, illness, muscle tension, and bone misalignment. Dependent on the issue, a practitioner will use different manual techniques. This technique of Oriental Medicine promotes Blood and Qi flow, regulates hormones, and reduces stress. This method is especially good at relaxing the muscles, realigning the spine, reducing nerve impingement, and stopping pain.